It’s Lent. The second Sunday’s looming. And yet, how can I? Mark 8:31-32 Then he began to teach them that the Son of Man must undergo great suffering, and be rejected by the elders, the chief priests, and the scribes, and be killed, and after three days rise again. Jesus chose to suffer. Jesus claimed suffering as a path. Jesus, stunningly trusting in the Holy, would eventually confront both the esteemed religious authorities of his day and the cruel, corrupt empire that ruled his world. Fueled by institutional fear, those forces unleashed lies, the first century flavor of fake news, and violence against Jesus. He suffered from their spiteful wrath. He suffered by fully embracing God’s costly calling as he treated everyone—the worst and the best, the least and the lost—with nonjudgmental compassion. Lent beckons me to suffer. My beloved parents have died. My beloved father-in-law and mother-in-law have died. Am I not suffering by being an orphan now? Wrong again. I can still hear Dad’s voice (with his offbeat ways to encourage me) and Mom’s voice (with her gentle ways of cheerleading me) in my mind. I’m no orphan. The best of me is still guided—and will be until the day I die—by the ongoing gifts of my parents, and my extended family (alive and dead). I can’t understand. Suffering? Me? Children are starving in the world. In my town. The #MeToo movement will—sadly and rightly—continue to be relevant and bring more revelations of abuse and harassment. Every digital tick of the clock will witness more bullying on social media. On the world spins, a whirligig of dictators, billionaires, oligarchs, and the 1% that, well, control everything. I am cynical, weary, fat, too content, and can’t claim any real suffering. Right? 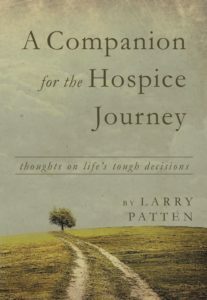 This I hope in what I’ll attempt at my hospice job (sitting in a cushy chair): I will call someone who has just experienced a beloved’s death. If they don’t lie and say they’re fine and politely hang-up, maybe I’ll be able to talk with them and—in the tiniest and most inconsequential ways—I’ll support them and help them take another step toward healing and away from despair. And oh, how I hope I will do the same outside of the office. Please, help me remember that everyone is as frail as ash and disguises their hurts with cheery smiles. I will not nurse grudges. I will not plot petty revenges. I will listen more and give advice less. And I will fail. I will turn away rather than turn toward another. I’ll forget that others are hiding their pain and do something stupid to increase their anguish. I will unknowingly (or knowingly) harm another . . . But then I promise, for Christ’s sake, along this foolish Lenten path (that is really about how we should engage in daily life), that I will remember again. 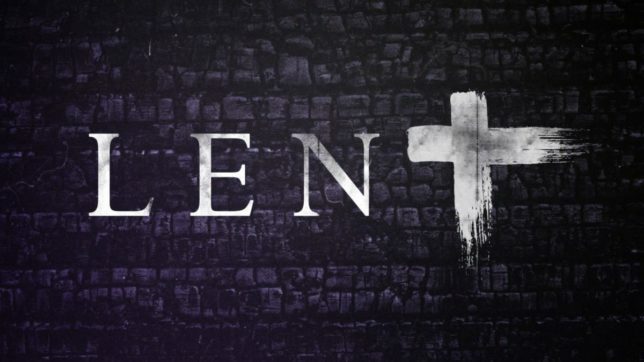 Lent, day after day after 40 days, is about remembering. Reclaiming. Rebuilding. Renewing. Suffering means serving the other. Suffering means choosing risky love over safe complacency. Suffering, thank you Jesus, inevitably means rejection. And yet that worst news of rejection, in God’s realm of love, is never Lent’s last news . . .